Fourth Grade Nothing: 80s Christmas Commercials | Folger's "Peter!" 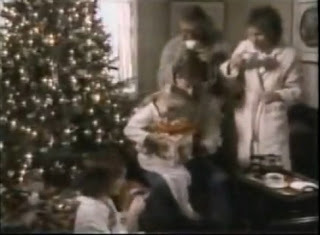 I remember the Folgers commercial and still love it! I don't remember the McDonald's commercial, but I was busy with raising kids and probably have just forgotten it. I remember that Folgers commercial! They still have really good ones. That McDonalds commercial is so cute! I used to get gift certificates like that in my stocking! The Mcdonald's commercial still is pretty cute! The Folgers commercial always made me cry. There is another one that is like a Big brother coming home from college and that one made me cry too. When I was a kid, my brother Rick was my favorite person in the entire universe, I think b/c he was away at college lol when he came home, not so much haha. Anyway, love the commercial. Thanks for sharing.